SOFTBALL: Gladstone's Michael Ludkin has been selected in the Australian men's Steelers 29-man squad. 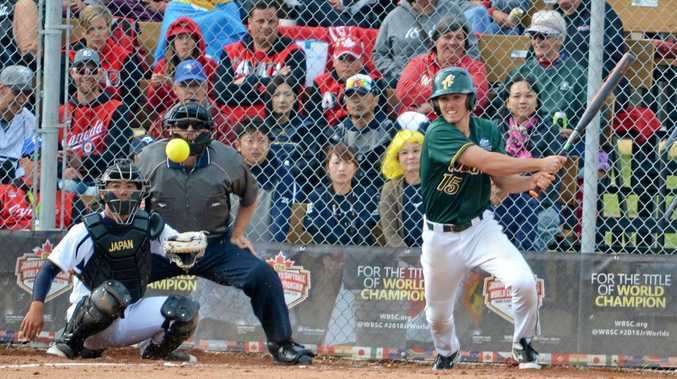 The squad will be trimmed to a 17-man team closer to the start of the 2019 WBSC Men's Softball World Championship in Prague from June 13-23. Ludkin played in the Steelers' victorious 12th WBSC Junior Men's Softball World Championship in Canada last year asthe team vice-captain. But this grade is an even bigger step up. With the big boys and the big names. "Some of the big names play overseas professionally," Ludkin said. "They are Adam Folkard, Andrew Kilpatrick and Nick Norton and it's going to be a strong team." The worst-case scenario for all-rounder Ludkin is to be a shadow or reserves player and time is on his side at just 19 years of age. "They'll announce the team in a couple of weeks but I hope to make the cut and if not, then I'll be a shadow player and could still play if someone gets injured," he said. "Even if I'm a shadow, I'll still train with the team." The fourth-year apprentice plumber at Reef City Plumbing said he trains after work and that's how it will be until when the Steelers depart Australian in early June for a lead-up program prior to the World Championship. "I go to the gym straight after work for about 90 minutes and also play in the Gladstone men's competition for Blue Jays," Ludkin said. It has been a massive past few months for Ludkin. He won the Senior Sportsperson Award at Gladstone Regional Council's Australia Day awards ceremony and played in the National Open Men's Championship for Queensland earlier in the year. Meanwhile the Aussie Steelers are on the search for a coach after World Championship-winning mentor Laing Harrow stepped away from the role. He will now focus on leading the women Travelodge Aussie Spirit team.